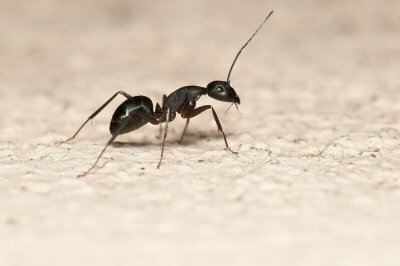 Pest control covers a variety of insects and mammals, such as ants, cockroaches, and rodents. 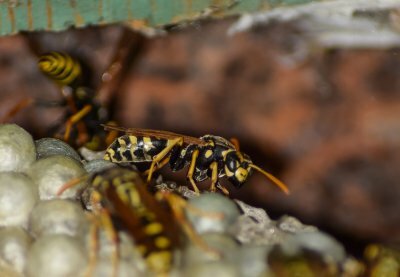 There are many common pests that homeowners can find in and around their houses. Ants are one of the most annoying pests that exterminators see, making knowledge a key asset of pest control. 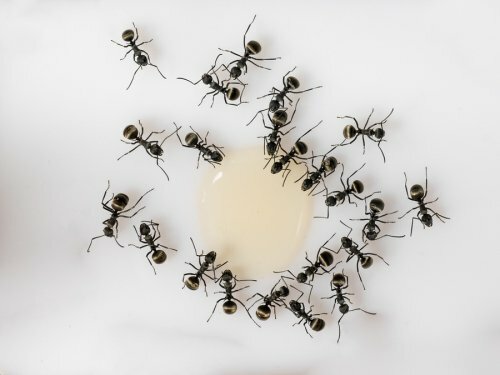 By knowing the traits and habits of common ant species, professional exterminators can perfect and implement helpful forms of pest control near Crystal Lake. Continue reading to learn more. Though they are not related to termites, carpenter ants have a similar relationship with wood. Carpenter ants can chew through wood and hollow out areas to build their nests. They do not consume wood, however, which makes them very different from termites. Carpenter ants typically eat dead insects and nectar from plants and aphids. They build their nests in humid areas like damp or rotting wood. There are several species of carpenter ants, but the most common are black in color and range from 3.4 to 13 mm long. Odorous house ants are more annoying than damaging to a house or its owners. They often have temporary nests that contain several queens and ants. Due to the temporary nature of their colonies, odorous house ants can be hard for the most experienced exterminator to fully eradicate. To prevent an infestation, remove all landscaping structures or junk piles away from vegetation and the house. These ants can easily access a house through outside landscaping structures. Pavement ants are often found outside and under paved areas like concrete slabs, driveways, and patios. This ant species does have a stinger, but it will only sting if a limb is in close proximity to the nest. Though they are usually found outside, pavement ants can venture indoors to feed on sweet or greasy items. Pavement ants should be dealt with by a professional exterminator who knows the correct way to eradicate and prevent pavement ant colonies. Ant removal on your own can be difficult. Call (847) 529-2847 to speak with the pest control experts at Schopen Pest Solutions. Why Are Carpenter Ants a Threat to Your Home? Carpenter ants are a destructive pest that invades your property to build nests and colonies. Carpenter ants can enter your home through cracks, pipes, loose windows, or other open points in your home’s exterior. 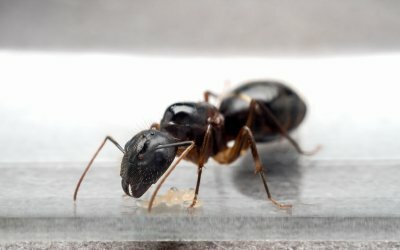 If you suspect that you may have a problem with carpenter ants near Crystal Lake, it is best to call an experienced exterminator to treat the problem. Keep reading for a few of the reasons why carpenter ants are a threat to your property. Unlike termites that rely on wood for nutrition, carpenter ants chew through wood and then discard shavings. This distinction means nothing, however, when it comes to the negative effect that these pests can have on the structural integrity of your home. In addition to wood, carpenter ants can chew through foam insulation, composite boards, and other building materials. Over time, as carpenter ants increase the size of their colony within your home, the amount of material they destroy will increase. This steady erosion of your home’s structure can take its toll on its stability and lead to costly repairs. Many homeowners with a carpenter ant infestation are unaware of the problem until a wall is opened up during construction or a remodel. 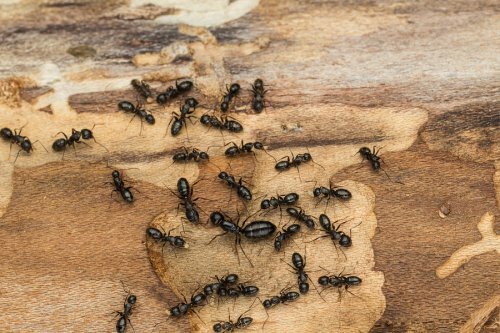 Unlike other pests that make their presence known, carpenter ants can exist within the walls and other crevices of your home for years with out showing any signs of inhabiting your family’s home. Rather than tearing open walls to check for the presence of a carpenter ant colony, homeowners are advised to call a knowledgeable exterminator to check for signs of this pest. Because carpenter ants burrow into wood and building materials simply to create space in which to colonize, they frequently look for areas of your home that are already partially eroded in order to minimize their work. This means that carpenter ants tend to seek out spaces that have already been chewed by termites, rotted by moisture, or decayed by other insects. Your exterminator should check for evidence of other pests when he or she examines your home for carpenter ants.